55+ Communities, which sometimes may be called age qualified communities, active adult housing, age-restricted communities or age-segregated communities, are communities with an age restriction for residence. These communities range from apartment complexes or condos, to single-family homes in a gated community, and 55+ communities are typically have community amenities such as clubhouses, fitness centers, tennis courts, pools and spas, game rooms, golf course access, cooking classes, and other community amenities. 55 community homes are often designed with the needs of aging residents. Both the home and the community are designed with accessibility and safety in mind. Homes in 55+ communities tend to be smaller, single-level detached houses or multifamily houses with one or two bedrooms and one or two bathrooms. Homes also often have accessible bathroom features, and other floor plan features that are more accessible so that seniors can age in place. Communities tend to be close to shopping centers, restaurants, churches and libraries, as well as recreation areas, and offer safety features such as community gates and security patrol. One of the many benefits of living in communities for active seniors is the low maintenance lifestyle. Homeowners associations are often charged with the responsibility of maintenance of community amenities and landscaping. Community associations also may offer or cover community activities, home insurance, transportation services, some utilities and cable, and other services to community members. Residency restrictions tend to require at least one spouse at or over 55 years old, although each community has different requirements for residency. Although 55+ communities are considered a retirement community, these communities often have many non-retired residents. Homeowner associations typically have covenants of which residents must abide by which maintain the home values and ensure a safe and friendly community for all residents. Additionally, there are often rules which prevent residents from allowing children and others under 55 from becoming permanent residents. Homes in 55 communities are typically bought, not rented, although there are many communities nationwide who offer the option of renting, rather than just buying. In addition to the cost of the home, many communities have monthly or yearly resident fees, which pay for services provided by the community. Healthcare service provided by Over 55 Communities range from communities with limited support, to communities with on-site healthcare services. 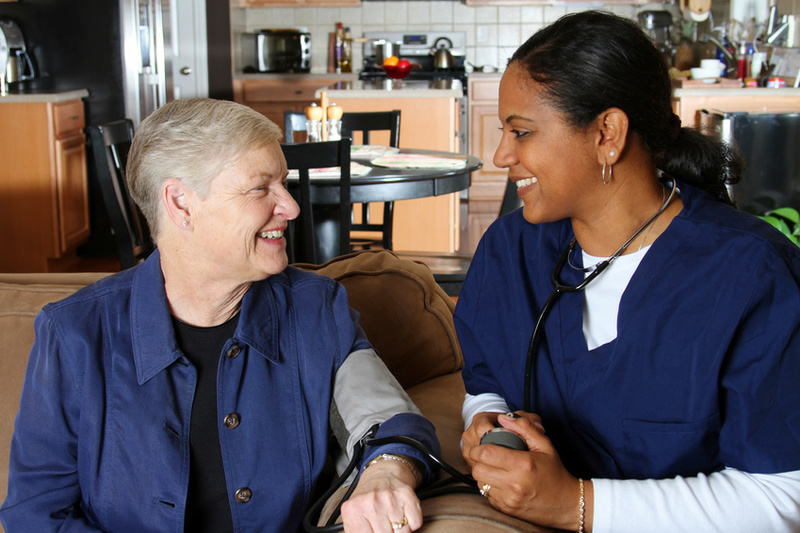 In addition to these services, seniors may choose to receive services from in-home senior care providers who bring senior health care services and support services to the senior’s residence.